Stainless Steel Water Tanks are becoming increasingly popular as they leave the smallest environmental footprint. They are also unsurpassed for strength, durability and hygiene. Made from Grade 304 Stainless Steel these tanks are uniquely constructed to outlast any tank on the market. 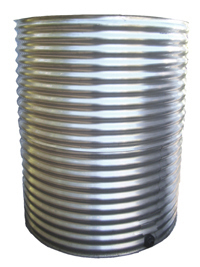 We now offer made to measure water tanks. You can select the width, length and height of your tank to fit your home. The sizes below are just a few of the many available.